An electronic set of dice for any of your games that require dice. Replace your little white cubes with an electronic version. Never lose a dice again. No dice bouncing off your table. Adds a new exciting and fun level to your standard board games that use dice. 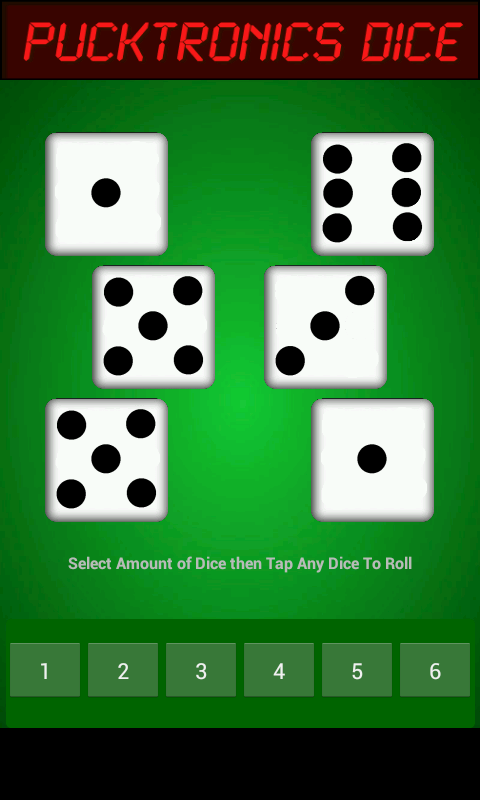 The Pucktronics Dice app provides you with a simple to use set of dice you can use for any game that uses dice. 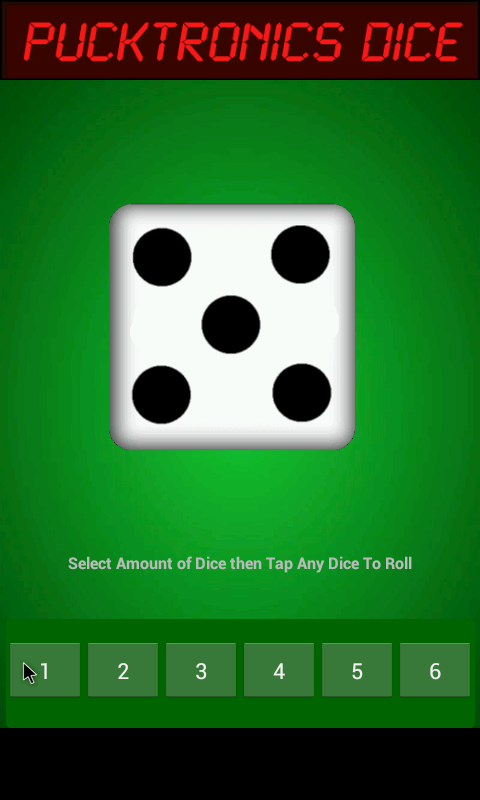 You can choose between 1 to 6 dice to use for any game you have that requires dice. Just choose the amount of dice you want and tap one of the dice to roll. Really simple and easy to use. If you want to hold one or more dice, just hold down on the dice until it turns gray. Do that for each dice you want to hold then roll. 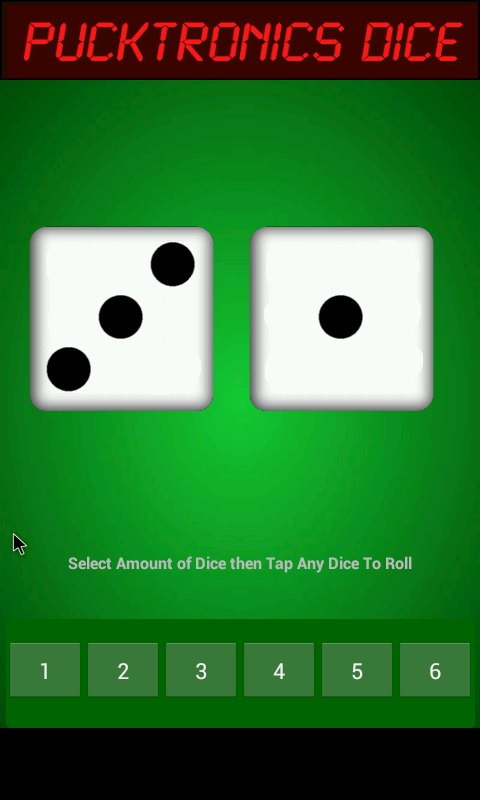 To unhold a dice, just hold down on it again or tap the unhold button. 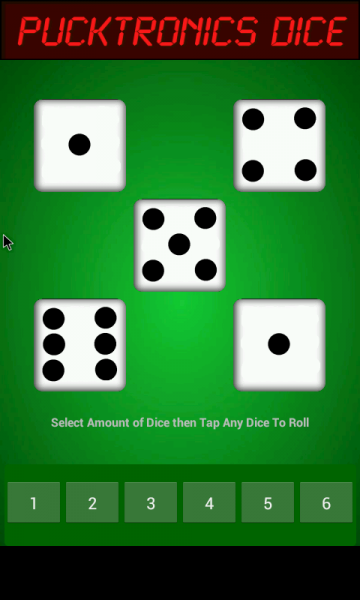 The total of all of the dice on the screen is displayed in the lower right hand corner. This app is ad support with a small banner ad at the bottom of the screen. No pop up ads will disturb your gameplay. 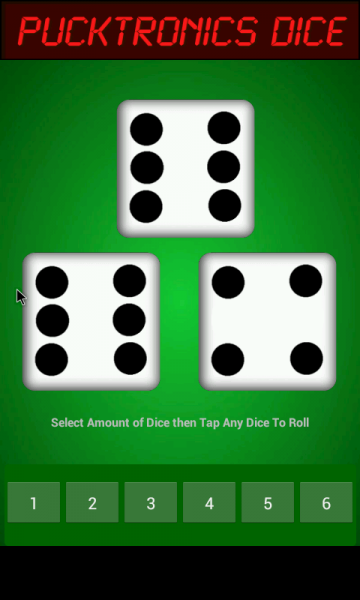 Net work permissions are required for the ads only, not the dice. Phone permissions are required to keep screen on during use.